Our Angela Herself page is rapidly becoming our most popular feature! There are now 300 pictures of Angela mostly as herself, plus a few as Penny, mostly publicity stills and not from the show itself, and one or two from The Sound of Music. And, in tribute to another beautiful young lady, we’ve launched a modest Marta Herself page! You will find the link to this right under the Angela Herself link (you have to hover on it) up and to the right. Enjoy responsibly! The first glimpse the world had of Penny . . .
Thousands more screenshots from the entire series appear in the many galleries here, all showcasing Penny: cute, courageous, irrepressible, charming. THE ABOVE SHOTS ARE FROM THE NEW, ENHANCED BLU-RAY RELEASE. FROM TIME TO TIME, WE’LL BE HIGHLIGHTING ONE OF OUR OWN ORIGINAL, WITTILY CAPTIONED LIS PHOTOS HERE. ALL ARE VIEWABLE IN THE “LOLS IN SPACE” DRAWER ANY TIME! In The Written Word —our popular science fiction trilogy, Through Endless Skies! Together, the three stories A Penny Saved, Symphony Of An Angel, and Through Endless Skies comprise one complete novel-length collection of Lost In Space adventure, romance, thrills, humor, and maybe a even a tear or two. We’ve also published Lost In Space Adventures, five short stories which re-think and re-imagine a number of actual episodes which had some very good ideas in them, but didn’t make it to air time as everything they might have been. Essentially, they have been rewritten as serious science fiction for grown-ups. Well, mostly serious. Dr. Smith remains the thorough scoundrel he originally was, but he does lend some light touches still! Also, under The Written Word, there is a collection of our non-LIS “fanfics” (I really dislike that term!) An eclectic assortment of our other writings, there just might be something there that tickles your fancy! Please enjoy…. Look under “Gallery of Beautiful Models” for some of our latest work in beautifully built models — the Chariot, Pod, Robot, and more! And in the drawer labeled “Steampunk Jupiter 2” is a customized build of the Polar Lights brand Jupiter 2 model kit, done in the steampunk style: if you’re not familiar with that, imagine the Jupiter 2 constructed based on the technology and science of the Victorian era! Lots of steam piping and gears and such are what usually mark out steampunk. This project is presented as if it were a scientific journal of the era, recounting the recent flight of the “Aether Ship” Jupiter 2 to Mars and back. Basically it’s a lot of photos and some backstory. Please enjoy! Also see our video gallery!! 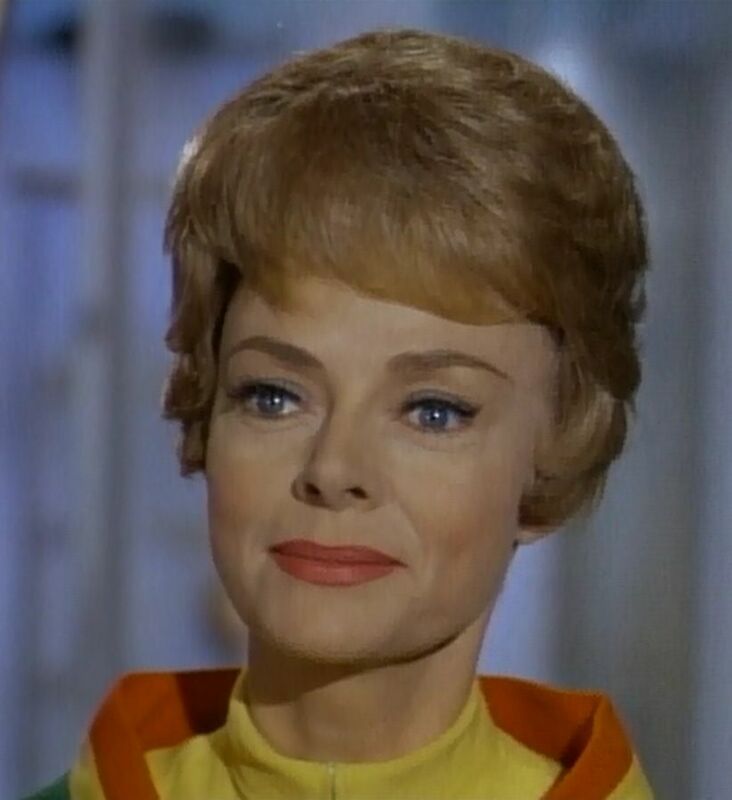 We have to be very careful posting video, as Lost In Space is still copyrighted material, but we have a growing gallery of short clips featuring some of Penny’s best scenes, and other related material. Check out our first clips now! Mark Goddard fans, be sure and visit the Golden Wheel Saloon, where we’re showing complete episodes of Johnny Ringo, co-starring Mark in his first TV series as deputy “Cully” to Sheriff Johnny Ringo in old Arizona Territory. A classic Western from the Golden Age of the American Western! The first five episodes of Johnny Ringo are now playing in the Golden Wheel Saloon, and an updated torrent link where the entire series can be downloaded. OK, more accurately, the Penny Robinson Fan Club would appreciate your help. Well, in the picture, I guess she really does need to be let down. But that’s not what I meant. I mean, I’m sure you knew that, I know you’re pretty bright. But just in case — Yes, Penny dear, I’ll shut up now. Posted by Penny Robinson Fan Club on 30 January 2012 in Uncategorized. 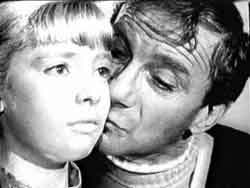 Welcome, fans of the classic TV show, Lost In Space, and especially all those who were, and are, fans of Penny Robinson. After all this time, Penny remains a compelling, touching, and beautiful character. She was portrayed by the incredibly talented Angela Cartwright, who at age 12, gave us more and better acting in any given ten minutes of Lost In Space than has been seen on TV in the last 20 years. The purpose of this site is simply to showcase and celebrate Penny Robinson. There are slideshows in the Gallery pages where stills of Penny appear, collected by episode. 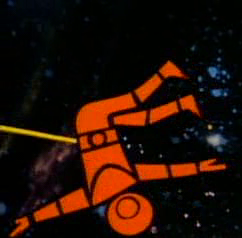 Some galleries will be devoted to a single episode. Others will collect a few episodes together which (sadly) had little Penny content. 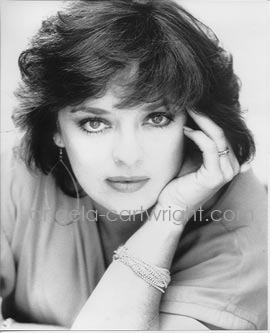 To the left, you will find links to a number of related (but independent) sites: other fan sites, personal sites of the actors and actresses, including Angela Cartwright herself, of course. Now, go buy the DVDs, preferably the new remastered wide-screen version, sit down by the Wayback Machine, and get yourselves . 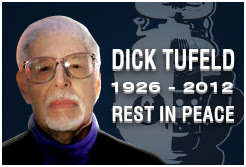 . .
Posted by Penny Robinson Fan Club on 28 January 2012 in Uncategorized.